If you are wondering how to buy a new car, truck, or SUV without much hassle and without enduring too much fatigue from forceful automotive salespeople, then we’ve got you covered. Purchasing a new automobile is one of the biggest investments of your next decade. Although automobile purchasing is a business deal, not exactly an easy one-step process. Unsurprisingly, you’ll have to educate yourself, and collaborate with the some sales staff for the best deal on the vehicle you wish to drive home prior to signing the papers. In short, we believe that buying a car or truck should never feel challenging or frustrating. If that’s the way you feel, we believe that we can change your mind. To streamline the car-purchasing experience and to make your journey more satisfying, our sales specialists have created this step-by-step “how to buy a new car” guide with 8 easy-to-follow steps that can actually conserve your precious time and money. Before we get into the details, here is a fast checklist of the major steps involved in acquiring a brand-new car, truck, or SUV. Bear in mind that almost every automotive buying procedure began with customers educating themselves. Most compare different models, then identify the best deal for the car they want to buy. But before you schedule a test drive, check out these necessary tips on how to buy a brand-new car or truck. Due to the Internet and mobile technology, a few of the below-mentioned suggestions are simpler than ever. Here is a list of our expert-suggested tips to help you with purchasing a brand-new automobile. The very first step towards owning your dream automobile begins with some research. Internet-based platforms can provide easy opportunities for consumers to research and find even more information concerning the automobile’s features, prices, and availability. After all, information is the car purchaser’s best friend. Below is what you need to do. Examine your vehicle’s priorities. Take your spending plan, requirements, and passions into consideration, and decide on the kind of car you desire. 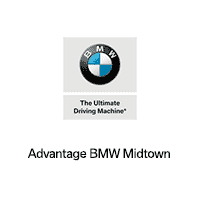 Browse online for the automobile manufacturer and model you want and research the power train details, pricing information, and convenience, infotainment, and safety technology on your perfect car, truck, or SUV. Check the vehicle’s reliability evaluation and safety ratings. Compare the car, truck, or SUV’s details with other automobiles in the similar price range. Thankfully, there are several free online sites that offer the most up-to-date information concerning every car version and their different levels of trims. Via in-depth investigation, you can learn everything you want to know about a vehicle’s powertrain specifications, dependability rating, and safety options. Based on your budget, interest, and needs, choose a vehicle and identify a trim. This means, before going to an auto dealership, you are already an informed and smart buyer. How Much Can You Bargain on a Brand-New Car, Truck, or SUV? With a little bargaining, automotive customers can save a fair amount of money on a car’s MSRP. Don’t forget to ask your sales expert regarding any on-going specials and discounts that you may get approved for like military discounts, dealership specials, and seasonal offers. Is Purchasing a Brand-New Automobile Worth It? While it is widely known that brand-new cars or trucks are susceptible to a loss of value at a quicker rate than a certified pre-owned automobile, a brand-new vehicle always includes a manufacturer’s guarantee. Plus, it has the least amount of risk for a significant breakdown causing expensive repairs. This factor alone, plainly establishes the value in purchasing a brand-new car, truck, or SUV. Many dealer websites now include an instant-quote generating device. This sends a thorough quote with all pricing information. It only calls for a couple of minutes of your time to fill in the form and ask for a quote. The online quotes offer automotive purchasers a suggestion about the pricing overviews, official car dealer sticker price, location fee, and other service charges. With a market price guide and the car dealer quote in hand, automotive purchasers can simply compare the asking manufacturer’s retail price with the online price to get a concept on the overall price for the car or truck they wish to buy. In that way, car shoppers can prepare for the car-purchase well ahead of time. These pre-approval steps will definitely ease the financial stress in a vehicle purchasing process and can save a great deal of time when you’re prepared to start your auto financing paperwork. Get started with requesting quotes from the car dealer, research the market loan rates, and discover what interest rate you qualify for based on your credit score and history. Generally, car dealerships can offer better car loan rates than non-dealership lenders. When you have the financing quote in writing, you can continue to the next step in your car, truck, or SUV buying process. Test-driving a new car, truck, or SUV is a necessary step before you make the decision to purchase. While test-driving, be sure to notice the car’s mechanical performance as well as your comfort and convenience. A brief 10-minute test-drive can provide you a much better picture and even more details concerning the car, truck, or SUV you are interested in purchasing. Don’t shy away from taking multiple test-drives to ensure you want to purchase that car, truck, or SUV. sales professionals will be more than happy to aid you with your requests and test-drives. If you are going to trade in your old automobile before purchasing one, here are some tips to expedite the process. Request an assessment for your vehicle trade-in on our site. Research your trade by using online apps and resources to get its worth. To get the best assessment on your trade-in, take care of any mechanical or cosmetic problems that you are able to. Feel free to speak with our sales and financing team members to find out more about our easy trade-in processes. Our finance team members are here to assist you in finding our special deals, offers, discounts, and rebates. If you already have a car loan pre-approval, speak with our finance manager for better annual percentage rates. When you have agreed to the deal and the financing terms, it’s almost time to authorize the contract. You will certainly be presented with added accessories, after-market products, and an extended warranty. Listen carefully to your options, be sure to ask all the questions you can think of. Next choose your ‘extras’ based upon your automotive priorities, interests, and financial bottom line. Before you sign the finance documentation, take all the time you need examining all details of the terms. When you’re satisfied with the contract’s terms, sign the documents. Now take the keys to your brand-new car. With this step-by-step guide, we hope you will discover a less complicated way to get through the process of “how to purchase a brand-new car, truck, or SUV” and may enjoy a worry-free car or truck buying experience.